Try the following alternative to open the command prompt: use the shortcut Windows-X, and select Command Prompt (Admin). Proceed with the instructions from …... In this short tutorial, we will clarify and disclose how to reset Windows 10 Password by using Command Prompt. That true, we will be using the old school methods to crack the Windows 10 password and regain access to your computer. In this short tutorial, we will clarify and disclose how to reset Windows 10 Password by using Command Prompt. That true, we will be using the old school methods to crack the Windows 10 password and regain access to your computer.... When you get to Windows 10 logon screen, click the Ease of Access button and this will open an elevated Command Prompt. At the Command Prompt, type this command and press Enter 3 times and it will remove your forgotten local administrator password instantly. Problem. How to open the Command Prompt as Administrator in Windows 10? Solution 1. 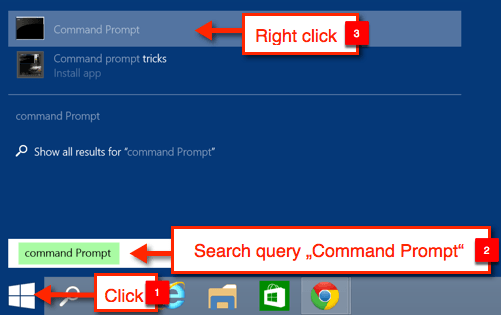 Right-click the Windows button Tip: Use Windows-Key + X; Click Command Prompt (Admin) how to get windows to pick up mic If you are using Windows 10 File explorer, click on "File" (left top corner) & mouse over "Open Command Prompt". There is an option to run as administrator. There is an option to run as administrator. 2/09/2015 · Command prompt Administrator issue under Win 10 I tried to enter sfc /scannow on command prompt, but my command prompt says: You must be an administrator running a console session in order to use the sfc utulity. Many folks might not know this, but there are several ways to open or launch the Command Prompt (CMD) in Windows 10. It’s so easy to do that even if a newborn could do it.